iOS 10.0.1 drops today, and included are over 70 new emoji. Among them are highly-anticipated additions — like the rainbow flag of the LGBT community — and, well, not much else. 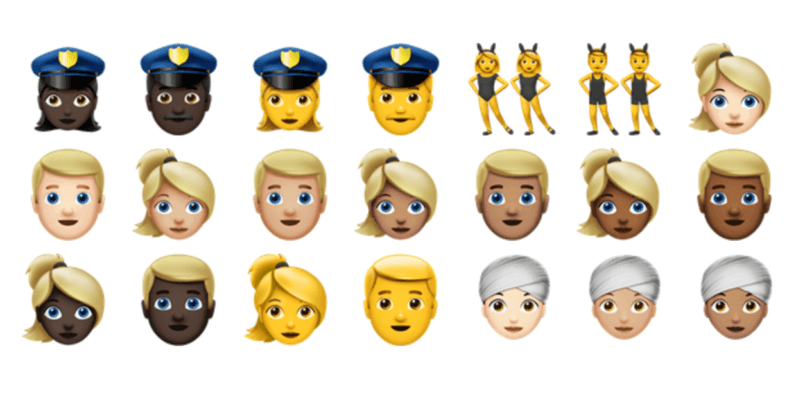 The life-like emoji are a nice touch, as are the multiple skin tones, but some of the additions are just plain head-scratching. How about a woman wearing a large fur hat? Or, you know, just a dude walking. It’s also worth noting that there isn’t a rifle emoji included in the new set. Apple did, however, change the revolver from iOS 9 to a squirt gun in iOS 10. This might be the point where my age starts showing, but I think more isn’t necessarily better — at least as it pertains to emoji. Adding new ones that I really can’t picture using definitely isn’t doing us any favors. But hey, maybe one day — when conversation is entirely emoji-based — I’ll be happy we have so many options. Until then, get off my lawn. Oh, and check out the other 72 and let us know your favorite — or least favorite.